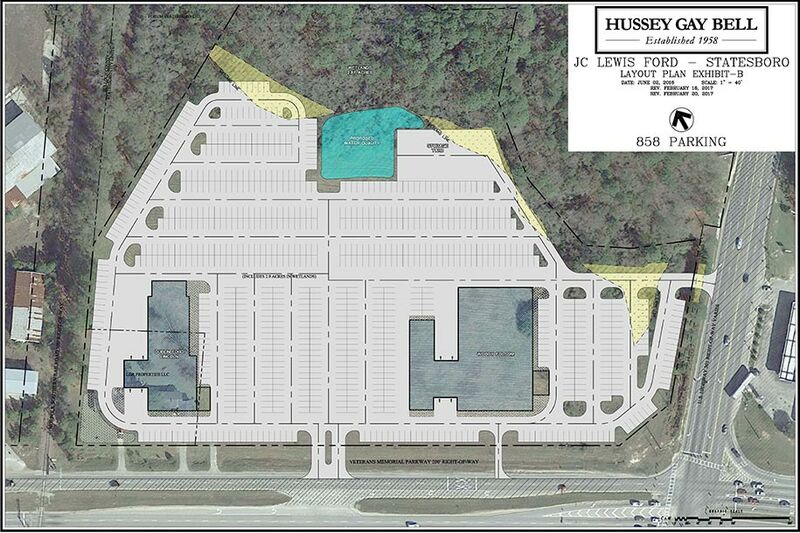 The project consists of the design and construction of two approximately 27,000 SF new Ford dealerships in Statesboro and Hinesville, GA. The building designs are based on 2016 Ford 750 Prototype, with a few minor modifications: the Quick Lane Building will be attached to the main building service drive, the car wash bay will be an exterior bay attached to the service building, the building will have 4 additional service bays, and a few minor interior plan changes. The Hinesville location also includes a partial demolition of an existing building. The primary structural system at the Showroom and Brand Wall consists of conventional structural steel, while the Parts and Service Quick Lane Areas will consist of a Pre-Engineered Metal Building (PEMB). Both projects are being constructed by Savannah-based Choate Construction and anticipated to reach completion in 2018. 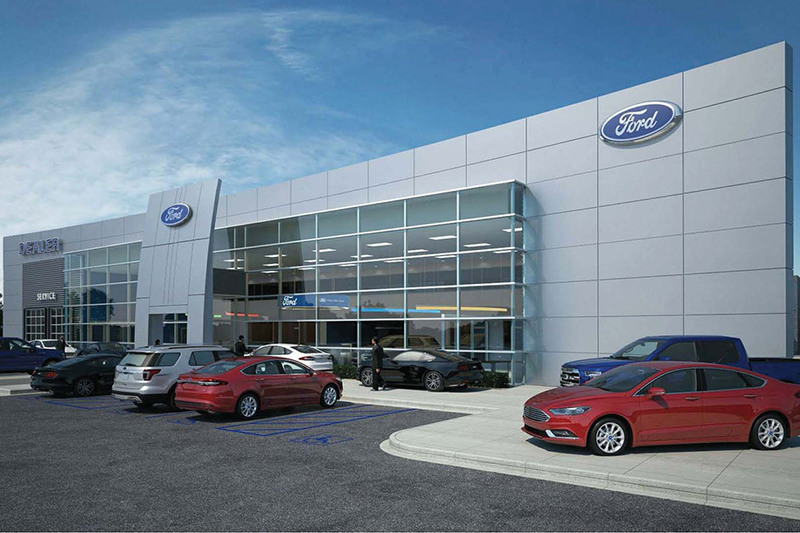 Hussey Gay Bell provided architectural and engineering services for two new Ford dealerships to enhance the established J.C. Lewis Ford brand.